I worked off the last of the gravy today. 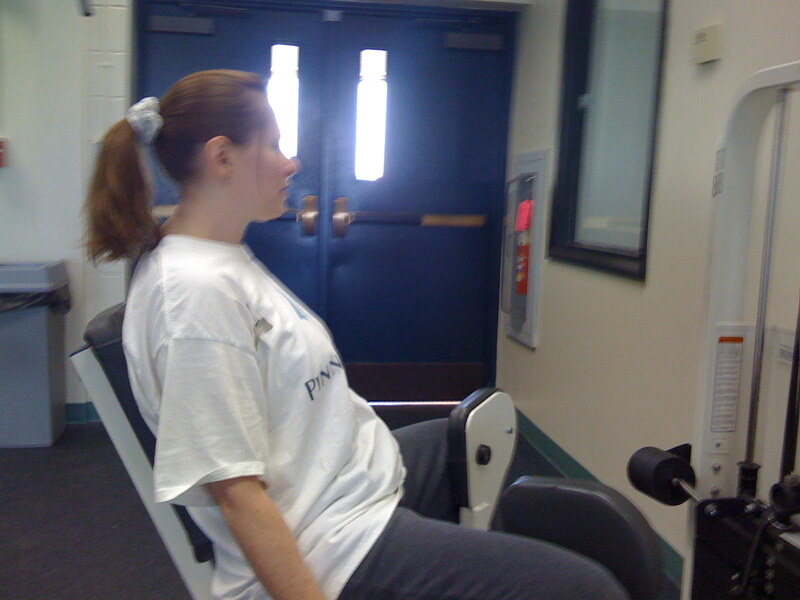 B. and I went to the local Y and did elliptical, weight machines, 10 minutes of treading water and sauna. Ahhhhh. Feels great. What did you do to work off the peck of food you ate yesterday? R!$@#%#!$%!!! Get me out of here! They’re driving me crazy! My mother is talking about wills and affadavits and family friends who are swindling each other over property. I am being forced to watch The View and defend why I don’t like Joy Behar and why I DON’T CARE ABOUT BARBARA WALTERS’ INTERVIEW WITH OBAMA! I DON’T CARE, I DON’T CARE, I DON’T CARE. No, Paul, it will likely not be big enough. *Someone* spent $600,000,000 to install Obama over our objections (BTW, Gov. Jon Corzine was a former CEO at Goldman-Sachs. Fancy that!). Obama has been running from The New Deal like it was the ebola virus. But he sure has a lot of nice things to say about Reagan. Ah, yes, the Reagan Era. Those were the days. I was a student, Pell grants dried up, tuition skyrocketed, there were no jobs to be had… Those were the days when a person who was the first in her family to attend college could build her character by mopping floors in a fast food joint at 2am, stay up until 4am studying and fall asleep in psych 101 at 8am the next morning. It made me the old, bitter, uneducated (with a degree in a hard science) working class (professional researcher) sino-peruvian lesbian I am today! Grrrr, I need a good aerobics class. Macy’s Turkey Day Parade Surprise Guest!